LAST week I received this electronic flyer (above) for the Makerere University Endowment Fund Run set for Sunday, May 14, 2017. That flyer didn’t make me lace up my running shoes or unfurl my thin wallet. Instead, I checked carefully to make sure that this wasn’t a flyer from 1999 as its two-dimensional presentation was very dated and, to me, uninspiring. I do not mean to put down the person who designed it, because they were probably doing their best in circumstances I neither know nor can describe. My disappointment was that the University, the seat of higher learning ranked number four on the continent of Africa, could produce work of this quality. Again – the work was not terrible, but it was a clear sign that the potential of the students of higher learning at this university was being wasted. A few years ago one of my kid brothers, Paul, ranted about the education format at the university, and this flyer reminded me of that rant with some pain. See, the Universities ideally take up the best brains from secondary schools countrywide and then give them a platform to develop their knowledge and demonstrate it in various ways even as they learn. My brother’s rant was to do with the Engineering department. He outlined what he felt should be the system: when a student joins the university Engineering or technology department they should pick a project within their first year that they will do over the duration of their course. The projects the students would be encouraged to choose, he said, would be projects that could be applicably put to real-life use. At the end of their four-year course, the students should leave the university with their projects and, as much as possible, deploy them in real-life. That approach, he said, would have the Engineering lecturers spend more time supervising students closely and using their vast knowledge to nurture and develop the intelligence, curiosity and innovative capacity of the students. When I was at the Makerere University we had a newspaper called The Makererean that students of journalism were expected to produce as part of our hands-on experience and learning. I even edited it – or carried the title ‘Editor’ even though we didn’t produce more than two editions of it for “budgetary” reasons. I once got involved in a short discussion about diverting faculty allowances (given to individual students) to producing this newspapers, but it was a very short discussion. The Agriculture students at the university should be producing food crops, not necessarily by digging it up using hoes, but producing them anyway; leading up to the School of Food Technology, Nutrition and Bio-Engineering which would develop or package that produce and send it straight to the market. The story should go on and on in that way. Coming back to the Flyer that disturbed me last week, I figured that Makerere University offers (that’s what we say) courses in Economics, Business, Computing and Information Science, Fine Art, Visual Communication, Design and Multimedia, Industrial Art and Applied Design, Liberal and Performing Arts and Film, Languages, Literature and Communication, Journalism and Communication… the list is long. Any and every one of these departments should have students that can be made to apply themselves to simple tasks such as designing flyers and advertisements, that would count towards their learning experiences and build their portfolios for the future. If all projects at the University gave these students the opportunity to apply their design skills, then there would be thousands, if not tens of thousands, of entries of various designs. This free platform that the University can give to the students to apply themselves is invaluable, and would make a massive difference to their entry into the real world. Many of the people that we employ in design and creative firms actually come from this same university and do a superb job, in instances. While thinking this through I went by the Makerere University website (www.mak.ac.ug) and got to a page that had a snazzy countdown to the Endowment Fund Run, which was impressive – at least THAT was being done right, but still didn’t work well enough to make me tie up my shoe laces or unfurl my thin wallet to contribute to the cause. It did, however, make me feel like contributing to a strategy that will harness these bright, hopeful minds at the University so that their potential is converted! Which people built the largest earthworks in the history of the world? Or even: Which country built the world’s largest man-made structure? Better still: Which Continent held the world’s largest man-made structure? Ask enough people and you will hear options such as The Great Wall of China, the Pyramids of Egypt and the Pyramids of the Aztecs, the Eiffel Tower, Big Ben, the Twin Towers, Dubai’s Burj Dubai (my twelve-year old has read this and corrected me) Khalifa, and even some of the ‘Seven Wonders of the World’. Until I caught an old edition of the British programme QI (Quite Interesting – hosted by one Stephen Fry, who has been in Kampala), I would have gotten the answer wrong as well. So I only learnt the truth of this by way of a television programme run by the British (QI is on BBC), yet I am over forty years of age and a student of history. Nobody told me about this in school – yet I could sing the words of a song about a bridge in London. To make matters worse, for me, the structure that constitutes the correct answer to the questions above was destroyed very deliberately and decisively by the British Army, in what they recorded was a “punitive expedition”, in 1897. Are your children paying attention? The people who built the world’s largest earthwork ever were Nigerians, in Africa, WITHOUT British or Chinese or any other foreign supervision or funding. So: not only were those Africans such good scientists that they had engineers and architects building such walls, they were also so good at art that the British stole their pieces away and burnt down an entire city to destroy all evidence. The phrase ‘punitive expedition’ made me think of the little history we learnt about Uganda, which I am correcting on my own by gathering up material written by Ugandans as well as by people such as the British missionary Rev. John Roscoe (1861-1932). Roscoe “compiled from information…obtained at first hand from the natives themselves…,” he wrote in his book ’The Baganda: an Account of their Native Customs and Beliefs’ and reveals a lot about us that boggles the mind of an ‘educated’ idiot like myself. Nobody in any school I attended ever mentioned this book. Just like nobody ever told us that ‘explorers’ and ‘historians’ recorded that “Caesarian Section” was being performed in Uganda as far back as 1879 according to travellers such as R.W. Felkin. There is too much to absorb here, so let’s focus on the ‘Walls of Benin’, for today. Just tell the children about that. They were FOUR TIMES longer than the Great Wall of China. They used up ONE HUNDRED TIMES MORE material than the Great Pyramid of Cheops. “They took an estimated 150 million hours of digging to construct, and are perhaps the largest single archaeological phenomenon on the planet,” Wikipedia reports. This is now information for our children, and our Educationists to adopt and teach to the children. We need to groom less inferior Ugandans and Africans, in general, and make this information mainstream rather than accidental by way of television and the internet. We need to teach about Africans who CAN AND DID DO GREAT THINGS. That’s how we will stop going to foreign capitals to spend money strutting about in foreign-made shorts and shirts, buying foreign suits and ties to wear as “official dress” back home rather than building up what we can do best over here. Perhaps if we came to realise our true potential, we would have fewer foreign “powers” building our roads, bridges, dams and even dressing us up! By doing what schools are supposed to do, all my schools combined made me better. See, I was lucky because I wasn’t sent to school just to get good examination grades. Of course, those were expected as part of the return package, but that package involved much, much, much more. That’s why I was sent in at a young, tender age and expected to emerge as an adult ready to take on the world and make a mark on it, rather than have it mark me. I went in with very little in my mind, meagre amounts of flesh on my bones, and no worries in my soul. I had to change, through school. Not by way of the classrooms alone, but in the field, on the schoolyard, in the dormitories, the corridors, the staff room, and on the roads walking to and from the various schools, and in the cars when they carried me across. Even as a very young child I was a Daydreamer and fantasized every chance I got, but learnt to bring my mind back to the real world and put my feet on the ground, my hand to the pen and my pen to paper. I was an Inattentive child yet came out having learnt to identify when it was important to pay attention, and how to do so in order to turn that importance into useful action. I was Easily Distracted, and still am to an extent, but learnt how to turn away from my distractions when I needed to, in order to achieve clear objectives – the importance of which I had learnt to prioritise through paying attention. I was Immature yet found maturity in many ways, from the simple ones like stretching out meagre resources and learning to survive in relative hardship, to the complicated ones like dealing with feelings – mine and others. I was Shy, and believe I still am yet I developed ways of overcoming that shyness to speak in public, approach complete strangers with bold requests, and to hold my own in very unfamiliar circumstances, surrounded by people I have never met before in countries I have only just walked into for my first time ever. I wasn’t born with sportsmanship, teamwork, humility, courage, diligence, and a long list of other attributes that I possibly wouldn’t have been able to spell, let alone develop, if I hadn’t gone to school. #SchoolsMadeMeBetter because they took hold of my little infant self and moulded me into an acceptable adult with responsibilities that include raising several other infants into acceptable adults – with the help of schools. So that they, in turn, one day turn up with the statement #SchoolsMadeMeBetter. See, #SchoolsMadeMeBetter, even if I didn’t pay enough attention to stay there long enough to earn the right to use letters such as Prof. and Dr. in front of my name. By the time I earned my university degree I had had quite enough of the official part of ‘school’; and it was only years later that I worked out that the unofficial bits that I so enjoyed were a deliberate part of our time there. The rules and procedures that we tip-toed around and dodged and broke and shattered were nothing compared to what we have going on in the real world, but thank God we went through that! All that close supervision and tight management by teachers and prefects was just practice runs for us to appreciate stuff like government authority and even the occasional askari. The fun and games that we focussed so much of our time and energy on were sometimes the distraction that in real life exists with such ferocity that I really get amazed that we actually do stuff like work, take kids to school and even go to Church. That sensor underneath the skull that makes us do the right thing instead of the fun thing, a.k.a. responsibility, was inserted bit by bit every single day during all those schooling years. The appreciation that not everybody out there thinks like my parents think, and their parents before them, only came to me when I got to school and met up with children whose parents did the one hundred and one things my parents did not do. Even the understanding that some families out there didn’t speak the same language as ours, only came to me when I got to school. #SchoolsMadeMeBetter in the sense that if I had picked the wrong pill that morning before I was first dispatched to Baby Class, Morpheus would certainly have sent me down the chute leading to a life trawling through garbage skips for cigarette ends and things to tie round my waist for the amusement of the general public as they drive or walk past me to their daily jobs. I may have been good on my own, but I am sure #SchoolsMadeMeBetter because of all those teachers I sat in front of for so many hours, who seemed to be larger than life regardless of how fascinating, fantastic or even downright boring they were. The fact that they got to stand up there in front of all of us made them “big people” with a difference. I knew back then and know that even now they were the lowest paid of all the professionals out there, but they still turned up (most of them) and did their jobs with a passion that confounded me. They didn’t teach me only english, maths, science, geography and the more complicated subjects – I didn’t pay enough attention to that; they taught me patience, perseverance, diligence, a sense of duty, responsibility, resilience, respect, patriotism and heroism. #SchoolsMadeMeBetter in very many ways, and I’m not going to stop using #SchoolsMadeMeNoBetter to relive those days and do this self-therapy. #SchoolsMadeMeBetter in very many ways. A couple of months ago I began work on a project currently running at the Speke Resort Munyonyo – a summit called ‘Innovation Africa’. This is NOT public relations for the event because, frankly, they don’t need it – they already have their participants in the rooms, the relevant transactions are being made left, right, centre, and I hope Uganda benefits from the event as other African countries have done previously. Rwanda hosted last year’s summit and bagged a project assembling computers/laptops within their borders which will help supply their (and maybe ours, one day) ‘One Laptop Per Child’ project. The project came before the summit, but their hosting preparations helped. What’s prompting me here are two things – my interaction in a small room with Education State Minister Sandy Stevens Tickodri-Togboa, and the nomenclature of education ministries across Africa. Starting with Prof. Tickodri-Togboa, when he was appointed Minister we celebrated because we knew him to be technical and were aware of his involvement in the Kiira EV Project. That project is not a white elephant, as some people scoffingly claimed when it was unveiled; whereas we do not produce steel and the other bits that make car manufacturing a short-term viability, the process of interrogating, researching and attempting this project helps boost local innovation. Allowing and empowering students to think big enables them to aim high even though they might hit low – but if they aimed low then they would hit lower, so the better alternative is obvious. Due to the Eid public holiday, Prof. Tickodri-Togboa found himself at the centre of the government Press Conference announcing this event and he read up on it quickly, and his blood got racing. In a meeting with a group of us shortly before the Conference he rallied gallantly about the importance of innovation in education, and our national skills development needs. “As I was flying back last night from China I was thinking about how many toys we import from that continent into this country. Why are we not making our children here manufacture those toys? They are just bits of plastic and wiring that jump about and make noises…” he pondered, jet-lagged, rather irritated and frustrated. I like it when a government official in a position of authority gets irritated and frustrated by something such as this – his boss is often to be found in this mood as well, which is why Prof. Tickodri-Togboa was appointed in the first place. He told us, thereafter, how his own children spent so many hours taking apart toys and other pieces of equipment in their home that he was not surprised when they ended up studying advanced sciences in universities in South Africa and what not. Which made me think wistfully about some children in my neighbourhood who I found wheeling about toys fashioned from empty splash boxes and Safi bottles, with twigs for axles and chokolo (soda bottle tops) for wheels. It made me sad to see that in 2015, when I had done the same back in the 1980s. But then it made me happy that they were as industrious today as we were back then. (Still, I hurried home and emptied a toybox on the verandah of their muzigo…but told them and their mother not to stop making toys of their own). They were still pushing their makeshift toys at the start of this week, and I was pleased. And I thought about them that same night as I perused the list of African ministries of education, because that is where, perhaps, we should start our spurring of innovation on this continent. 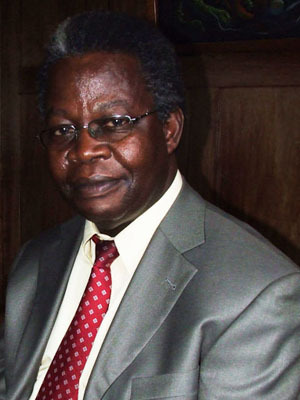 When Prof. Tickodri-Togboa was appointed, the Ministry of Education and Sports was renamed Ministry of Education, Science, Technology and Sports. Considering how well we do at Sports these days, that docket should be made substantive and separated from the Ministry of Education, Science and Technology, which itself needs renaming – and I hope we append ‘Innovation’ to it. Skills (Botswana), Literacy (Burkina Faso), Scientific Research (Burundi, Cameroon & Congo Republic), Technological Innovation (Congo Republic) Vocational Education (DRC), Science & Technology (different from Education – Ethiopia), Science, Technology & Research (Lesotho, South Africa, Tanzania), Science & Technology (Gambia, Kenya, Malawi, Mozambique & Sierra Leone), Technology, Communication & Innovation (Mauritius), Human Development (Mozambique), Higher Education, Training & Innovation (Namibia), Higher Education & Research (Senegal), Higher Education, Scientific Research & ICT (Tunisia), Education, Science & Vocational Training (Zambia). Over, now, to Professor Tickodri-Togboa, the people in charge of naming ministries, the teachers, and parents who should encourage their children to take stuff apart and learn to rebuild it. Education needs to be taken apart so that we can do some innovation.